They make prom look so fun. 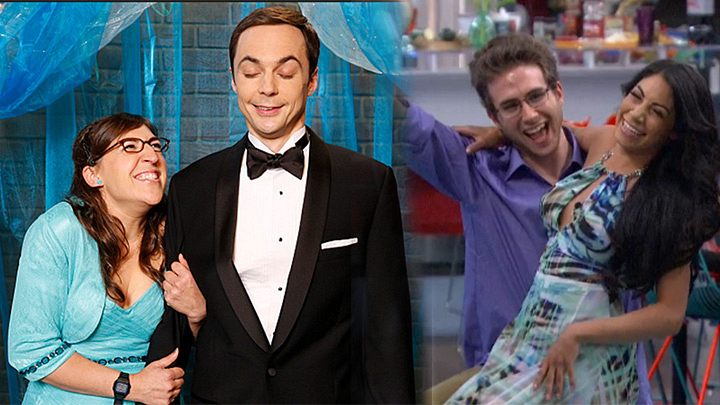 After careful consideration, we've noticed nine eerie similarities between Sheldon Cooper (The Big Bang Theory) and Steve Moses (Big Brother) that could almost make these two lovable guys a pair of brothers from other mothers. First off, let's look at how this dynamic duo handled prom. Sheldon had Amy and Steve had Jackie. For each guy's individual gala, we tip our hats to the gorgeous dates who brought out these guys' best styles, moves, and star qualities for a night full of slow dancing and epic cuteness.